Image Masking is one of the techniques used in real estate to enhance the appearance of the picture by removing unwanted details that do not contribute to the look of the picture. It can be used to add features to improve the overall appearance of the photograph also. Needless to say these manipulations are very time consuming and experts with very sophisticated software are required to obtain excellent results. Masking, as the word implies is a technique used where rather large areas of a photograph is blanked out by using filters or masks. Masks are of different transparency, from white through various degrees of gray to black. A white mask is absolutely transparent and the black absolute opaque, with the different grades of gray representing different levels of transparency. There are two primary types of masks: clipping masks and layer masks. These two tools are closely related in concept, but very different in application. In masking operations the layer masks are used while the latter finds more application in clipping operations. These operations are done with the aid of powerful computer tools. Masks are basically of two types. One is the Layer mask which when used reduces the transparency of the entire layer. The other is generally called simply a mask. In this a mask is applied on the photo and it covers the entire area with an invisible gray scale canvas. As a general rule, applying a mask to a layer won’t cause any immediate visual differences unless you have an active selection at the time. On this canvas you can paint any shade of gray you want, to control the transparency of that region. In this way one can control the illumination level of any region in the photo to achieve varying degrees of shades which can enhance the general appearance of the photograph. 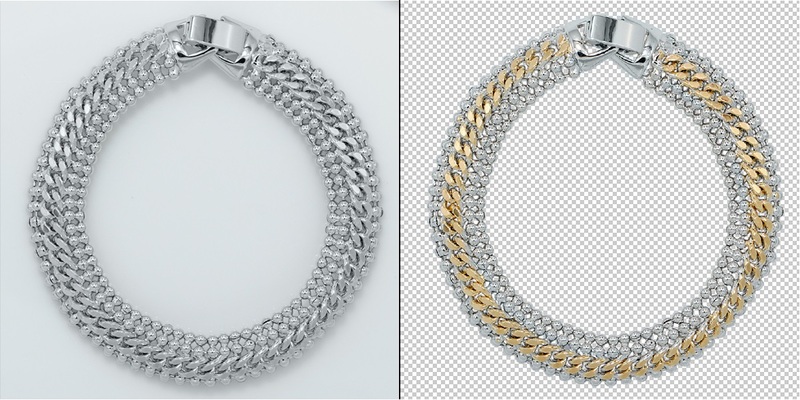 Clipping mask is very similar to layer mask except that they borrow the transparency from the bottom layer. If the bottom layer has some areas that are opaque and some areas that are transparent, a clipping mask will apply these values to the top layer. Let us see how this works. Take the example that we have cut on a photo, say, a decorative name plate. On a Photoshop clipping masking tool, you place the photo of the house on whose door you want the name plate cut as the first layer. Place the photograph of the name plate on top of it as the top layer. To achieve the effect that we want, simply swap the position of the layers so that the house is on the top, blend the two layers, then go to the Layers menu at the top of your screen and select “Create Clipping Mask” (Command-Option-G). If the layers are correctly positioned the nameplate will appear where one wants it to appear. Any further correction that needs to be done is then effected. Needless to say these operations need thorough knowledge of the computer tools used and consider experience and expertise to get good results. A professional service provider who is equipped with modern infrastructure and has well trained and skilled workforce is essential to get consistent good results. One such group is Photo Editing India whose has the state of art required physical infrastructure and has the requisite skilled workforce to deliver quality products consistently. They have a very satisfied clientele both international and national who are very exacting on both quality and time schedules. Another advantage is the cost advantage one gets out of the scale.